Which 2019 GMC Yukon SUV is the Right Choice for You? Big families need a big vehicle, and that’s where the 2019 GMC Yukon comes in. But with a variety of models, the choice isn’t as easy as it might seem. If you’re having a hard time deciding between the Yukon and the Yukon XL, we’ve got you covered. You’ll find a quick comparison of these two large SUVs below. For the most part, these models are similar in almost every way. But if you were to park the Yukon and the Yukon XL side-by-side, the difference becomes clear. While they have the same exterior style, the XL model is actually 20.5” longer. Let’s take a closer look. The extra 20.5” on the Yukon XL more than doubles the amount of cargo space. While the Yukon has a roomy 15.3 cu. ft. of storage behind the third row, the XL offers a total of 39.3 cu. ft. That additional space is sure to come in handy during family excursions — especially if someone decides to bring an extra suitcase or two. The Yukon XL also boasts more legroom for second- and third-row passengers. In most SUVs, the third row is usually reserved for kids or small-statured adults. But because the Yukon XL is so spacious, third-row passengers have the luxury of stretching out and relaxing. What Else Should You Know About the 2019 GMC Yukon Models? Another difference between the Yukon and the Yukon XL is the fuel tank capacity. The standard Yukon has a fuel tank capacity of 26 gallons. The XL holds 31 gallons to help you travel just a little bit farther. There’s only a small difference in the amount you can tow with each model. The Yukon can tow up to 8,500 lbs. The Yukon XL can tow up to 8,300 lbs. when properly equipped. Both models come with the same available amenities to make your life a lot easier. They can both seat up to nine people to accommodate your kids and all their friends. Inside the cabin, both SUVs feature the 8” GMC Infotainment System and plenty of other great features for all the passengers to enjoy. Which 2019 GMC Yukon Will You Get? No matter which Yukon model you select for your family, you’ll enjoy a feature-filled experience. 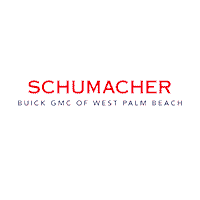 Visit Schumacher Buick GMC of West Palm Beach to explore the Yukon and Yukon XL. We offer a huge inventory of cars for sale in West Palm Beach, Florida.